Congrats Target Gift Card Winner Mary H! 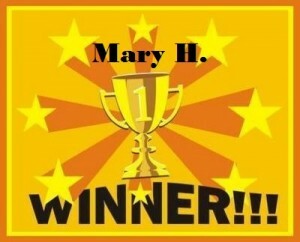 Congrats Mary H! You won the Target gift card giveaway! Hopefully some of you got to watch the amazing game yesterday! The Cardinals won 10-9 in the 11th inning in what was probably the best baseball game you'll ever see! Anyway, Mary H, congrats and check your email! Thanks to everyone for entering and supporting our site! I think that’s me! I just sent you an email, because I hadn’t received an email from you yet. Thanks very much!